Of all of the ‘long’ pasta shapes, Taglierini are no doubt the most well-known of the traditional Pasta shapes in Liguria. 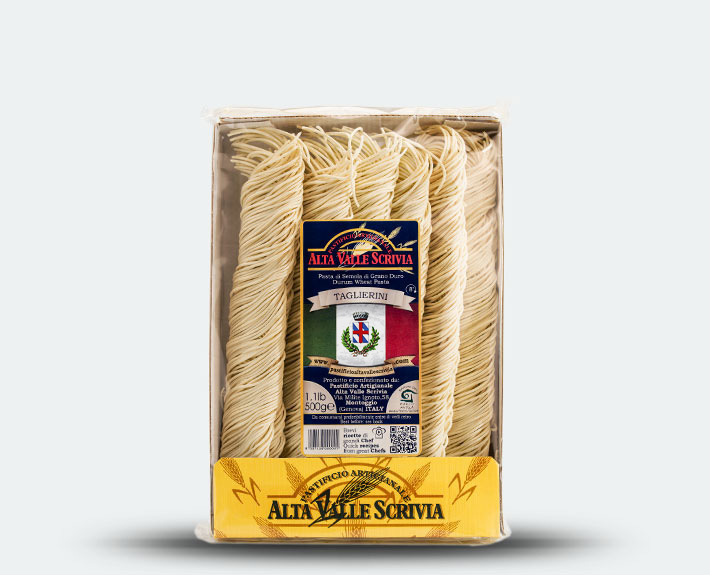 A pasta which has accompanied Ligurians for centuries, which is defined by the fact that it has always been made with very few, or entirely without, eggs. Known as ‘taggiæn’ in local dialect, they are traditionally accompanied by a meat sauce. The name comes from the method they were made in the homes of the locals. 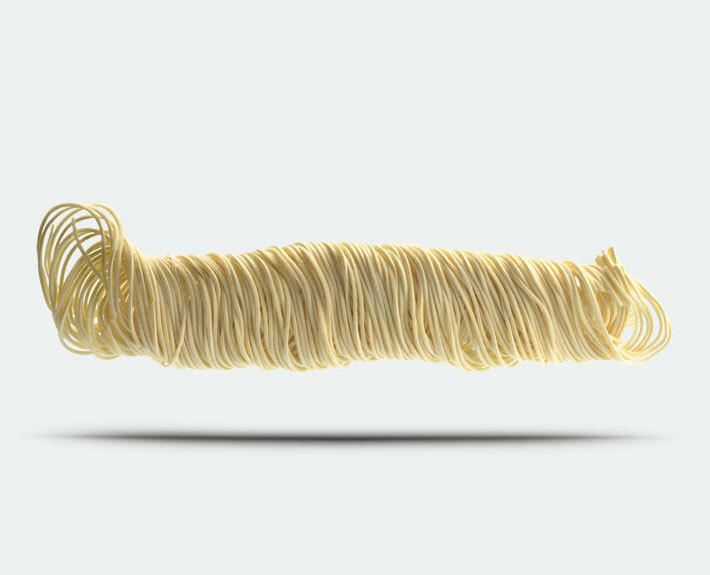 The dough is rolled and folded rather than extruded and then the long strip is sliced (tagliare in Italian) with a knife which when unfolded forms long thin ribbons. Maintaining this home-made technique means our Taglierini have a fresh-pasta-like consistency which helps to absorb the sauce. For this reason it is often said, ‘ i taggiæn son ladri’ – ‘Taglierini are thieves’, as they rob the plate of the sauce, drawing it all into the pasta!